More and more people are taking control of their IRAs and applying their investment knowledge in hopes of a more comfortable retirement. The growth of self-directed IRAs has increased as people seek to invest outside of the traditional stock-CD slot. Many are seeing solid returns as their portfolio diversifies into real estate, precious metals and other markets. This highlights the number one reason to go with a self-directed IRA: you can invest in what you know. Many consumers have insight on real estate and know how to best invest there; others have sound information on the silver market, for example, and use that insight to grow their nest egg in a prudent and consistently profitable way. As more and more people receive statements showing repeated losses each quarter in their IRAs, they are taking matters into their own hands and investing in markets that they know will at least edge the poor (negative) returns that they are receiving. If you have a traditional or Roth IRA, you can transfer or roll over its funds to a self-directed IRA with no penalty. You do not need to sell any assets to make this move. Even self-directed IRAs need a custodian or administrator. The trustee/custodian of your IRA maintains the assets, records all transactions and keeps all records associated with your account. This trustee also files IRS reports, issues statements and gives the account holder insight regarding rules and regulations. Even though the range of investments for self-directed IRAs is large, remember that the IRS does have limits on the types of assets that can be invested and on the types of transactions that can be done. Assets on the no-go list include life insurance and collectibles, among others. Transactions that are not allowed include any that would indicate self-dealing, so borrowing from your IRA or selling property to it are prohibited, for instance. Even with these restrictions, the possibilities are great for investment, including real estate, franchises, partnerships and tax liens, among others. If you have a keen interest in a start-up that is managed by someone other than you, for instance, you can invest in it with a self-directed IRA. Industry observers note that thousands of small businesses would not have made it if not for funds from self-directed IRAs. Do you have your eye on a chunk of foreign stock that you have reliable information about? You can invest in that as well. To best understand the balance between restrictions and freedom with a self-directed IRA, consider this example: you can use assets in such an IRA to buy a rental property or as a down payment for a mortgage, but you can’t rent the place to yourself. The downside of a self-directed IRA is that you cannot deduct your losses if your hunches prove to be untrue. Other potential pitfalls include getting suckered into a deal of which you know little about and a failure to check on the legality of other deals. Your trustee will issue statements to you, but is not bound to check on the legality of any of your investments. Unfortunately, cases of fraud have proliferated; the number and variety of scams is growing by the day. Do NOT trust some “guaranteed” super-high rate of return on any investment that you might make. Be sure to check up on all people offering investments to you by contacting the SEC, the IRS or a state securities administrator, because it will be nearly impossible to get your money back if you are scammed. Basically, the growth of self-directed IRAs has given tremendous freedom to people trying to build a portfolio of assets for their golden years. In an age where financial information of all sorts is readily available, more and more people have gained the confidence that they can do better at investing than the bank that holds their IRA. These people are wresting control of their IRAs and putting their knowledge to good use as they invest in a wide assortment of funds. 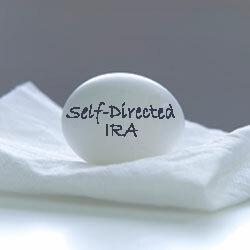 I have to be honest in that I’m not that clued up on self directed IRA’s as I should be. A nice overview here. Thanks for visiting, I use a company out of Kentucky, the provide great service and specialize in doing Self Directed IRA’s, in fact I believe their business may be about 95% Self-directed IRA’s. 2 – Consider the firm’s experience and how long they’ve been in the business. Many firms have started in this business over the past couple of years. Some of these firms are probably very good providers, but I believe others are also just jumping onto the bandwagon, trying to make a quick buck. The firm I like is Entrust, which is one of the big names and has been around a long time. They also assign you a designated person to help with whatever you’re investing in, so you’re not dealing with multiple people, having to explain to each one what you’re wanting to do. My experience is that they really know their stuff and have been great to work with. They also have offices across the country, which can help. Thanks for the Great information Gary, very helpful!